What's all the buzz about levelizing retirement plan fees? Retirement plan sponsors rank compliance with regulations as a top concern.1 And for good reason as recent litigation and regulations have highlighted investment expenses and revenue sharing as important issues.2 With heightened awareness of fiduciary responsibility, it’s important for advisors and plan sponsors to have a thorough understanding of retirement plan fees and how those fees are paid. Instead, it becomes an exercise in prudence requiring the fiduciary to have a repeatable and defendable process in place for evaluating the effect of fees on participants. This paper takes a closer look at allocating retirement plan fees and options to consider when it comes to revenue sharing and fee levelization. Use this as a resource to help make your job a little easier and better understand your fiduciary obligations around plan expenses. 1 Cogent Retirement Planscape, May 2016. 2 401(k) Fee Litigation, Groom Law Group, September 2015. 3 Fred Reish, Chair, Financial Services ERISA Team, Drinker Biddle, PLANSPONSOR Magazine, August 2015. There's no one right answer with regards to fee payments and allocation. ​A fiduciary should have a repeatable and defendable process for evaluating the effect of fees on participants. Retirement plan fees cover administrative activities performed by providers. Fees also pay for resources and services — like a website or call center — to help plan participants enroll and reach retirement savings goals. 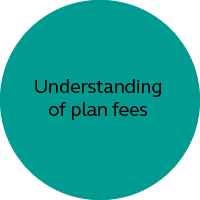 Typically, plan fees are allocated or collected through one or a combination of fee methods. Up to this point, revenue sharing has been the most common approach in the industry.4 When this approach isn’t used or it doesn’t cover all of the plan administrative expenses, fees can be billed directly to the plan sponsor or paid from participant accounts. are typically paid by the plan sponsor and included in the plan sponsor’s annual budget. Fees are not allocated among participants and plan assets are not used. allow the plan sponsor to have all or a portion of the plan fees deducted explicitly from plan assets shown as a dollar amount. In the case of a defined contribution plan, these fees reduce the amount of retirement savings in participant accounts either in proportion to their account balance or as a flat dollar amount. allow a plan sponsor to collect all or a portion of the plan fees explicitly from participant accounts. This amount is generally determined by a basis point and collected monthly. Revenue sharing — How does it work? Many plan sponsors have plan investment options that have fees deducted by the investment before calculating its published return. These fees, often referred to as the expense ratio, cover the costs to manage the investment option (i.e., investment management, operations and legal expenses). A portion of the expense ratio can include revenue sharing, which may be used to pay all or a portion of the plan’s administrative expenses. Plan providers may receive revenue sharing payments from the plan’s elected investment providers to help pay for administrative services provided to the plan. As a side note, there are other terms for revenue sharing, such as sub-transfer agency or administrative services fees. And revenue sharing doesn’t apply to all investment options. For instance, company stock investments, self-directed brokerage accounts and some mutual fund share classes provide no revenue sharing. 4 Deloitte Annual Defined Contribution Benchmarking Survey, August 2015. 5 An investment option may or may not provide revenue sharing. It’s important to know that revenue sharing received from certain investment options can be used to offset administrative expenses of the plan on an investment-by-investment, account-by-account basis. Because of this, participants pay for some or all of the recordkeeping or plan administrative fees through the investments that they select. The amount of revenue sharing paid by an investment option can vary from one option to the next. That means participants may pay a different percentage of the plan’s administrative expenses depending on the investment options they select. 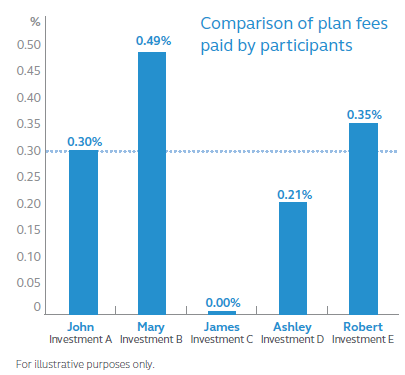 This has raised concern among plan sponsors who want to level the playing field and allocate fees equally among plan participants. There are a number of ways to create fee equality, which we’ll cover in more detail next. Revenue sharing amounts vary which means some participants may be paying a disproportionate amount of the plan fees. Retirement plan fees cover administrative activities performed by providers. Revenue sharing amounts vary - some participants may pay a disproportionate amount of the plan fees. For plan sponsors who want to levelize fees among retirement plan participants, there can be several different approaches to consider. We’ll offer some considerations for each approach along with more thoughts on revenue sharing. 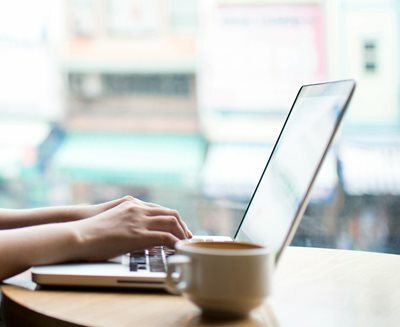 Let’s take a closer look at how each fee method is applied to participant accounts. For ease of comparison, we’ve included examples based on a plan with recordkeeping fees of 30 basis points. Through using investment options that provide no revenue sharing. By crediting all revenue shared from investment options back to the participants. Let’s take a closer look at the first option. This allows for levelized or equal revenue sharing since each investment option produces the same rate of revenue sharing — zero. Separates recordkeeping fees from investment expenses, making both easily identifiable to plan participants and fiduciaries. May provide investment options with lower fees. Offers flexibility in payment methods. Fees can be allocated as a dollar amount and/or as an asset-based fee. The plan sponsor can also choose to pay all or a portion of the fees. Results in simple, clean participant communication. Participant fee disclosures only include: plan investment expense ratios, any deducted or asset-based plan fees and participant transaction fees. May narrow the universe of investment options the plan fiduciary can select because not all investment managers have complete series of zero revenue available. In the second option, any revenue sharing within an investment option is credited back to the participant to accomplish zero revenue sharing. Take a look. Requires disclosure of the fee adjustment rate and actual fee adjustment as a dollar amount applied to the participant’s account. Adjustments may be easier to understand because participants will only see a positive fee adjustment vs. both positive and negative as in other approaches we’ll cover. 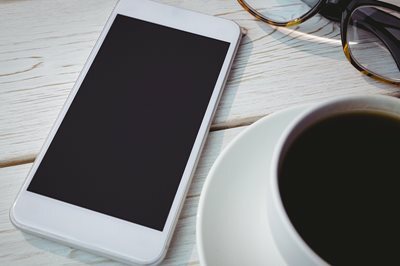 How often does the service provider calculate the fee credit? Revenue sharing fees are collected daily on the account balance. If the fee credit is only made monthly, this could result in a portion of the participant’s account being unable to earn market returns. Potentially more flexibility in the investment selection process because a larger universe of investment options may be available. Allows for levelization of revenue sharing as a basis point charge. Recordkeeping fees are not clearly separated from investment options and may not be as transparent to participants. Removes the option to levelize participant expenses as a dollar amount. Because both positive and negative fee adjustments are made, it may be more difficult for participants to understand. How often does the service provider calculate the fee adjustments? Revenue sharing fees are collected daily on the account balance. If the fee adjustments are only made monthly, for example, this could result in a portion of the participant’s account being unable to earn market returns. Allows revenue sharing (when available) to offset plan fees, often lowering or eliminating the amount of explicit fees paid. Some participants may subsidize more of the retirement plan’s administrative fees than others. Provides greater flexibility in the investment process, which may make more investment options available. However, a prudent process must still be established to determine the acceptable range of revenue sharing within each investment option. There's no one right way to allocate fees. It's important to know the options and considerations of each method. Every plan sponsor and every plan look a little different. So, plan fiduciaries need to determine the approach that will best meet their needs. Since there are many factors to consider, an option may work well for one plan and not be the right choice for another. As plan fiduciaries explore the various approaches, consider answering these questions. How will fees be paid, by participants through revenue sharing, allocated explicitly to participant accounts or paid by the plan sponsor? If paid by participants, will the fees be paid in proportion to their account balance or as a flat fee amount? If through revenue sharing, what amount is appropriate and is it important for participants to pay equally? How will you communicate fees and payment methods to participants? Consider the interests of different classes of participants. Next determine how the method of allocation may affect each class. The DOL makes it clear the decision doesn’t have to benefit all participants equally.6 But, regardless of the payment method selected, the plan fiduciary should provide a rational basis for the chosen approach. And the plan fiduciary should both understand and document the process used to arrive at that decision. It’s important to note there’s no regulation that promotes or suggests any option discussed in this paper over the others. 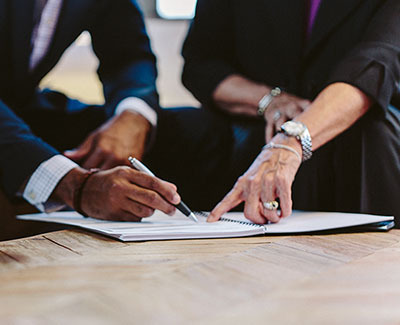 Every plan fiduciary has an obligation to act in the best interest of plan participants and should adhere to all laws, regulations and best practices. Education is the first step in helping fiduciaries understand the importance of decisions around plan expenses and the potential consequences of failing to satisfy fiduciary responsibilities. Gather and evaluate relevant facts, including plan participant needs. Assess available fee payment methods. Determine how fees will be collected and document the process. Provide clear, simple communication to build participant understanding. you can mitigate plan compliance risk and improve efficiency and effectiveness. Know the key questions to plan fiduciaries. They can help determine which options work for a plan, and which do not. Every plan fiduciary has an obligation to act in the best interest of plan participants and should adhere to all laws, regulations and best practices. For financial professional or plan sponsor use only. Principal® and Principal Financial Group are trademarks and service marks of Principal Financial Services, Inc., a member of the Principal Financial Group. The subject matter in this communication is provided with the understanding that Principal® is not rendering legal, accounting or tax advice. 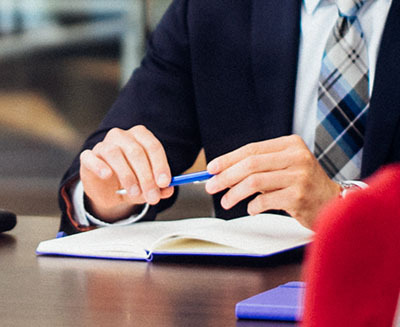 You should consult with appropriate counsel or other advisors on all matters pertaining to legal, tax, or accounting obligations and requirements. Fred Reish and Drinker Biddle are not affiliates of any company of the Principal Financial Group. Principal Life Insurance Company is not a fiduciary in the broad context of operating your plan. a member of the Principal Financial Group®, Des Moines, Iowa 50392.